Although Thor #8 won’t be out until tomorrow, Marvel hs decided to get ahead of any leaks and confirm the identity of the woman who took up Mjolnir, a mystery shrouding the comics since her first appearance. But just who is the new God of Thunder? Spoilers ahead! Marvel handed the reveal over to New York Times today, confirming that the new God of Thunder is in fact Dr. Jane Foster — the former girlfriend of Thor Odinson, played by Natalie Portman in the movies, and currently battling cancer in the comics. Jane Foster has been part of the Thor comics and the Thor mythology from almost the very beginning. The very act of picking up this hammer, of becoming Thor, is killing her. Where we go from here is the real story. So where does Jane Foster go next? 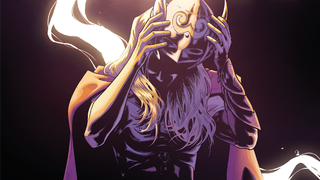 Well, despite the revelation, she is still Thor for now — and given the events of the ongoing Secret Wars crossover will see her join a new team of Avengers when the fighting’s done, she will be for the foreseeable future. Jane, God of Thunder, has got a nice ring to it, don’t you think?